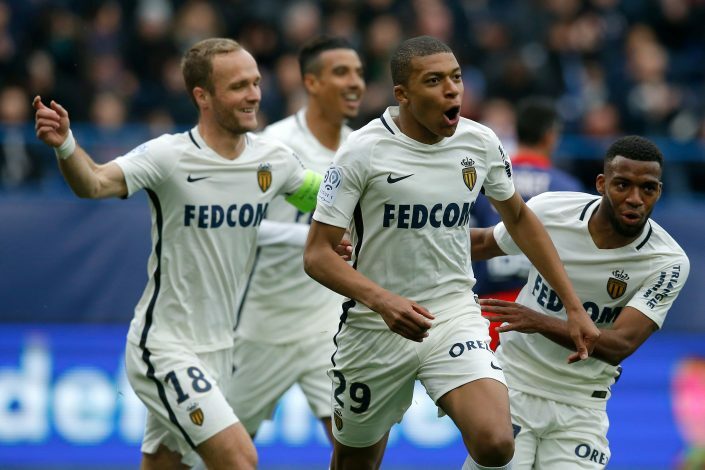 Manchester United have seen their £69 million offer for Monaco starlet Kylian Mbappe rejected, according to reports. Mbappe has been in sensational form this season, having already scored 17 times for the Ligue 1 outfit in all competitions so far. The youngster’s goal scoring trend has attracted the interest of numerous European giants, but Manchester United and Real Madrid are believed to be the current frontrunners in the race for the forward’s signature. In fact, Manchester United seem to have already made an offer worth £69m for the player, who is being dubbed as ‘the next Thierry Henry’. However, the Red Devils’ bid has been turned down by Monaco, as the French outfit is unwilling to part ways with Mbappe unless an offer that proves to be too good to turn down is made. As per Spanish outlet Cope, a Premier League side has recently lodged a whopping £95m offer for the young Frenchman, and many believe this mega bid to be an improved second attempt, after first £69m offer, from none other than Manchester United. Reds’ boss Jose Mourinho is reportedly keen to strengthen his team’s ageing strike force, and has therefore decided to go all out to secure the 18-year-old’s services. Meanwhile, Real Madrid have also expressed their interest in Mbappe, and the player too is rumored to be keen on a switch to the Spanish capital. However, according to reports from Don Balon, the striker will only agree to the move if Los Blancos’ manager Zinedine Zidane guarantees him regular game time. The race for Kylian Mbappe continues to heat up, and given the money involved in the initial bids for this talented youngster, he is very likely to at least come close, if not entirely break the current transfer record.